I’m not completely telling the truth with that headline, I must admit. Sitting right and center, just under my monitor, is a little piece of paper with that headline on it. I made a list last night, however, suggesting to myself that I should write several blog posts today. And I’m working on my third now. There’s been a discussion among some bloggers I read about whether making lists is a good idea, so I’m squeezing myself into the debate. Leo from Zen Habits, the self-evident king of personal development bloggers, started it with his post “Kill Your To-Do List“. And Leo is partly right. Crossing completed things off a to-do list feels great, but never getting around to some of the things feels bad. There’s a solution to that, however: Do the things you intend to do. While making lists of things that ultimately never get done is a waste of mental energy, listing things you want to do and then actually doing them raises you to a higher level. 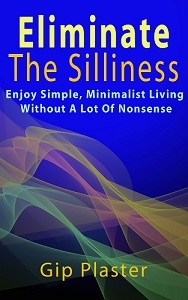 Later, David from The Minimalist Path took a look at “Both Sides of Living by the List” and ultimately placed himself on the fence, a great place to be sometimes. Before I go to bed, I often write down several things I want to do the next day. Yes, I’m afraid I’ll forget to do them, I suppose. And yes, if I approached my life with a bit more mindfulness, maybe I wouldn’t be likely to forget anything. But for now, for me, I sleep better and wake without worry because I know the things I want to do won’t be forgotten. While I try to spend as little time as possible on the mundane tasks of life and automate as many processes as I can, if I have a new bill that needs paying, for example, I don’t want to forget it, but I may not want to deal with it now. Writing a list allows me to focus on the task at hand and time-shift the other task to one of those moments when I don’t have something else I really want or need to do. I keep lists of posts I want to write, things I want to research and websites I want to visit, too. I don’t want to completely forget about these things, but I don’t want to focus much attention on them at the moment I write them down either. I very highly value the ideas my brain offers to me, and I don’t want to lose one. If writing a note makes me more confident that I’ll eventually get around to fleshing it out, that’s fine with me. My brain is sometimes swimming with ideas, concerns and bits of information. Writing a list that clears up my plans for the next day or captures bits of things I might otherwise forget helps me bring a bit of order to the chaos I deal with everyday. I’m eliminating sources of stress everyday, and I try to rid myself of things that draw energy from me, but the process is never complete. There are always bits of chaos in my life, and ordering them makes me feel better. Whatever you do to deal with the things of life and the information output from your brain, I hope it works for you. If it doesn’t, try another. Write a list for the first time today — or try living without one for the first time. Do whatever you think will help make yours a simple, deliberate life of which you can be proud. Thanks for the mention Gip. Great post.